You can use the form below to request a savefile transfer, merge or swap between Official Silk Games servers. Please only submit one savefile transfer request at a time; if your transfer request has not been fulfilled within 72 hours, then please contact us at team@silkgames.com. A Savefile Merge is when a savefile from one server is merged with a savefile on another server, meaning that all of your characters are transferred and all of your Vault and Ranch companion lists will be merged with those on the target server. Savefile Merges can only happen when the total character count between the two savefiles being merged does not exceed 16. 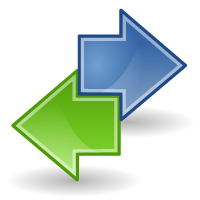 A Savefile Swap is when you wish to swap your savefile from one server with another; the savefiles simply trade places and are not merged together. If you don’t have an existing savefile on your target server, selecting “Merge” or “Swap” below won’t make a difference. Legacy Transfers: If you are a returning player who hasn’t played in a long time, please first read this blog post about past server merges. If your savefile is listed in the Legacy Savefile directory, then you must find and copy the URL of your savefile and use it to request a Legacy Transfer below. Players whose savefiles are still on the active servers don’t need to request Legacy Transfers; this only applies for savefiles found in the Legacy Savefile Directory. If you are requesting a Savefile Merge, you must first ensure that the total character count between your source and target servers does not exceed 16. It’s also a good idea to tidy up your Vaults and Companion Ranches to make space for the merge, though it is not necessary (your excess stored items/companions from the merge won’t be lost, but won’t be available until you make some space). For any type of savefile transfer, you should remove everything from your Marketplace Listings before requesting a transfer. Any items left in the Marketplace will be lost upon transferring. You will also lose your guild affiliation during the transfer, meaning that if you are a guild leader on the source server, that guild will be disbanded. Savefile transfer requests that don’t provide the required information (your exact NEStalgia Username, a URL for Legacy Transfers, etc) your request will not be processed. Please ensure that everything is correct when filling out the form below. We will attempt to fulfill all transfer requests within 72 hours (and often much faster than that). We do not offer individual character transfers between two servers. In other words, you cannot pick and choose which characters you’d like to move between servers; it is an all or nothing choice. Furthermore, once a transfer has been made it cannot be reversed. If you have any questions or concerns about the transfer process, please contact us at team@silkgames.com. Savefile transfer requests will be processed free of charge until April 5th, 2015. After that date, there will be a fee for all transfer requests. Merge Savefiles - Characters on the target server will be merged with those from the source server. Swap Savefiles - The files on the source and target server will simply be swapped with one another.